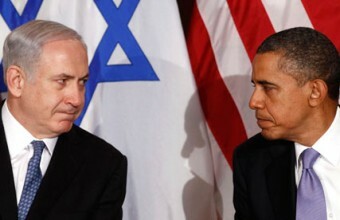 An Israeli bank has been fined $400 million USD for aiding and assisting Americans in evading payment of their taxes. Al Ray reports, via Press TV, that Israel’s second largest bank, Bank Leumi, will pay as much as $270 million to the US government and $130 million to the US State Department. “Bank Leumi employees engaged in a series of egregious schemes – including creating complex, sham loan arrangements – to help its US clients shirk their responsibility to pay taxes,” State Department Superintendent Benjamin Lawsky said in a statement. “What’s worse, when certain Swiss banks began to put the brakes on this type of misconduct, Bank Leumi instead hit the accelerator even harder – viewing it as a ‘golden opportunity’ to pick up new business,” Lawsky added. According to the US Department of Justice, the bank aided American taxpayers in hiding their assets in Israel, Switzerland, and Luxembourg from 2000 to 2011. 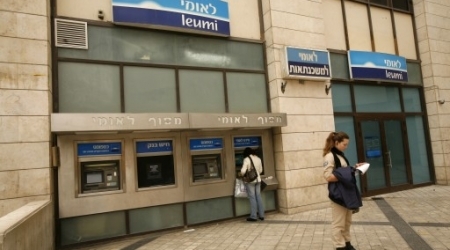 Bank Leumi has admitted to the violations, agreed to pay the fines, and has reportedly sacked some of its senior employees, as well. U.S. Secretary of State John Kerry warned that Washington will veto a proposed Palestinian resolution to end the Israeli occupation at the United Nations Security Council on Wednesday. According to Palestinian sources, Kerry said at a meeting with the top Palestinian negotiator, Saeb Erekat, that America will veto the bid. Palestinians are set to press ahead Wednesday with a UN bid to boost their hopes of statehood, despite a warning that the U.S. will block the move, officials said. Kerry has held three days of intense talks in Europe seeking to head off such a resolution with the UN Security Council. 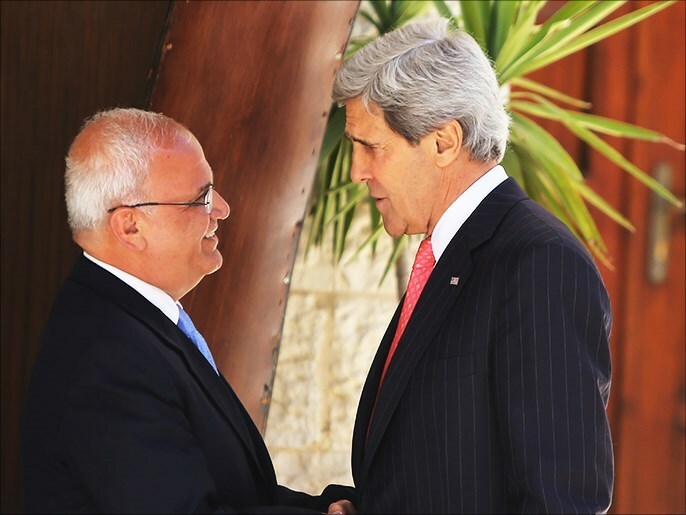 Erekat reportedly told Kerry that Palestinians would go ahead as planned, receiving a sharp warning from the U.S. official that his administration would veto the resolution. In an escalating battle of wills, the chief Palestinian negotiator shot back that if Washington uses its veto to scupper their plans, the Palestinians would then seek membership in a series of international organizations, including the International Criminal Court. “Palestinians have nothing else to lose,” Erekat added. “We’ve already seen it all with the Israeli occupation,” he said in reference to the terror tactics, land misappropriation, desecration break-ins, assassination of Palestinian officials, house demolitions, and abduction campaigns launched against the Palestinian people and leadership. The United States Department of Defense has announced that it will supply the Israeli air force with 3,000 smart bombs (precision-guided munitions designed to achieve greater accuracy). The funding for the sale will come from US military aid to Israel, and will be paid until the end of November, 2016. The United States provides Israel with some $8.5 million in military aid each day, while it gives Palestinians $0. See: U.S. Military Aid and the Israel/Palestine Conflict, at If Americans Knew, for details. Palestine has no official armed wing outside of PA security coordination with Israel, with any militarized response to aggression from occupation forces left in the hands of ill-equipped political brigades and other homegrown resistance groups. The infamous rockets reported to be fired from Gaza are, by default, little more than hollow tubes stuffed with dynamite and typically fall into unpopulated areas of the Negev Desert. Al Ray reports that, according to media sources, the cost of the recent deal is estimated at $82 million, through which the Israeli air force will receive three thousand G-DAM model bombs. Israel drew heavy criticism after a one-ton smart bomb meant for a senior Palestinian militant also killed 15 civilians in an attack in the Gaza Strip in July of 2002. These bombs can hit its targets precisely, by routers. 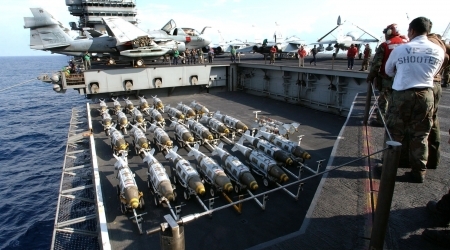 Israel used these bombs on a large scale against several targets in the last Israeli aggression against the Gaza Strip. However, the majority of over 2,000 "casualties" reported from Gaza, this past summer, were civilian in nature. Israeli military officials would not say whether the bombs might be intended for use against Iran, but ruled out the possibility that they could be used against Palestinian targets. According to recent Israeli and UK media releases, US President Barack Obama has threatened to drop the veto at the United Nations Security Council. The United States has a long history of using this power to block anti-Israel measures and has, in response to continued Israeli rejection of US demands regarding the Middle East peace process (and just following an official denunciation of new plans for Israeli settlement expansion),.threatened to lift the ban on the veto. "The prime minister told colleagues in recent days ...that his office's understanding of the issue and the government's take on it is that the Americans will not cast a veto against a resolution that reaches the Security Council," diplomatic correspondent for the Makor Rishon daily, Ariel Kahana, reportedly stated to the Algemeiner. According to Maariv, Netanyahu told Jewish Home party members Naftali Bennett and Uri Ariel, among others in his political circle, that Obama plans to abandon Israel at the United Nations and that this will have many consequences. "This step was what Israel feared the moment Obama was re-elected and here it is happening today," the PM was said to have declared. Records obtained by AP shed light on why Jordanian-born Palestinian Mohammed Rashed remains in custody despite completing his prison sentence last year. A Jordanian-born Palestinian responsible for a deadly 1982 airline bombing sought to be deported to the West Bank upon completing his prison sentence last year but the Israeli government denied the request, citing problems with his identity documents, according to records obtained by The Associated Press that shed light on why he remains in custody. Since then there have been "confidential diplomatic dealings" aimed at moving Mohammed Rashed out of the U.S. and fulfilling an earlier commitment to deport him, court filings show. Rashed was released from federal prison in March 2013 for the bombing of Pan Am 830, which killed a Japanese teenager and injured more than a dozen passengers aboard the Hawaii-bound plane. A onetime top lieutenant of a Palestinian bomb maker still featured on the FBI's list of most-wanted terrorists, Rashed remains at a federal immigration detention facility in upstate New York that houses those awaiting deportation. He was sentenced to prison in 2006 under a plea deal that allowed for his release last year and required his cooperation about other terrorist plots he knew about. The U.S. government said as part of the agreement that it would work to deport Rashed to a country of his choice after he served his time on murder and conspiracy charges. Emails and other documents obtained by the AP from U.S. Immigration and Customs Enforcement show he requested last year to be sent to the West Bank - where he has family - and that the government sought Israel's permission to send him there via Jordan. 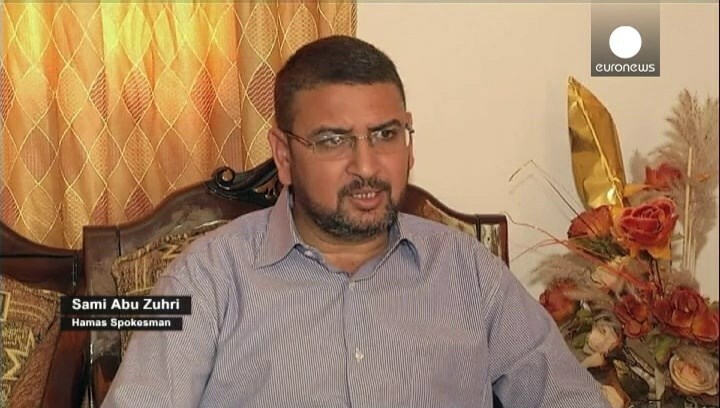 But the Israeli Ministry of Foreign Affairs said in a June 25, 2013, memo that Rashed's Palestinian passport and birth certificate "contain material discrepancies" about his place and date of birth. The memo does not specify the discrepancies but said the request would be reconsidered if he submitted better documentation to prove past residence in Palestinian Authority areas. A follow-up email between government officials suggested that "we turn our focus to a third country for removal" while "additional strategies and solutions" are developed. Even before that rejection, government officials had discussed the need to coordinate travel plans with other foreign governments. "It will take a little push to have Jordan accept and provide a security detail," one email said. The AP recently obtained the heavily redacted documents through a Freedom of Information Act request filed more than a year ago. An ICE spokesman declined to comment on the status of current negotiations, but said Rashed remains at a Batavia, New York, facility while the agency finalizes his deportation. Some recent court filings have been sealed, though Justice Department lawyers wrote in March that high-level "confidential diplomatic dealings" were ongoing. His lawyer, federal public defender A.J. Kramer, declined comment. It was not clear whether Rashed, now in his mid-60s, had submitted additional paperwork for the West Bank or exactly where efforts stood to deport him either to the West Bank or somewhere else. Issa Karake, head of the Palestinian government's prisoner affairs department, told the AP that Palestinian President Mahmoud Abbas was "contacting the Israeli side and other countries to... bring him back to the country." Abdullah Zaghari, a cousin of Rashed, said Rashed had relatives in the Deheishe refugee camp in Bethlehem and that his mother was in her 80s. He said his family had waited decades to see him and that it was time for Rashed to come "live with his family and see his mother before she dies," and that the family had appealed to Abbas for help. It's not surprising that paperwork questions would affect Rashed's release. Authorities say he moved around the world with fraudulent identity documents, including those used to board the Pan Am flight before the bombing. Several years later he was caught with a fake passport in Greece, where he was prosecuted for the attack. Rashed has been in U.S. or Greek custody for the better part of 25 years. 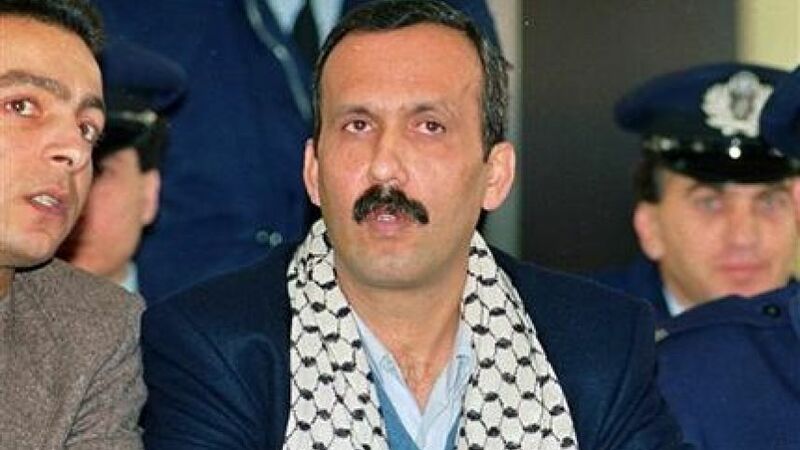 U.S. officials have long seen him as a crucial link to Abu Ibrahim, a Palestinian bomb maker who formed 15 May, a terrorist faction named after the date of Israel's founding, and was known for making sophisticated plastic explosives that could be smuggled in bags and suitcases. Abu Ibrahim, also known as Husayn Muhammad Al-Umari, remains on the FBI's list of most wanted terrorists and was indicted in 1987 in the U.S. along with Rashed. The August 11, 1982, bombing was set in motion when Rashed, his wife and their young son traveled from Baghdad to Tokyo. He tucked a bomb beneath his seat cushion, engaged the timer and disembarked with his family when the flight landed in Japan. The device exploded as the plane continued onto Honolulu, killing a 16-year-old boy who occupied the same seat on the plane's next leg. Rashed was arrested in Greece in 1988 for traveling with a false passport and implicated in the bomb attack. Rather than extraditing him for the bombing, Greek authorities prosecuted him and won a conviction. He was released in 1996, but then arrested by U.S. authorities in another country in 1998 and taken to Washington for prosecution. He pleaded guilty in 2002.